Another summer night of pong and beer cellar picks got underway last night, and unlike last time, we departed from the porters and stouts and attempted, despite the worst spring weather I can recall, to embrace the “season.” Lots of IPAs and farmhouse ales, with a few surprises. 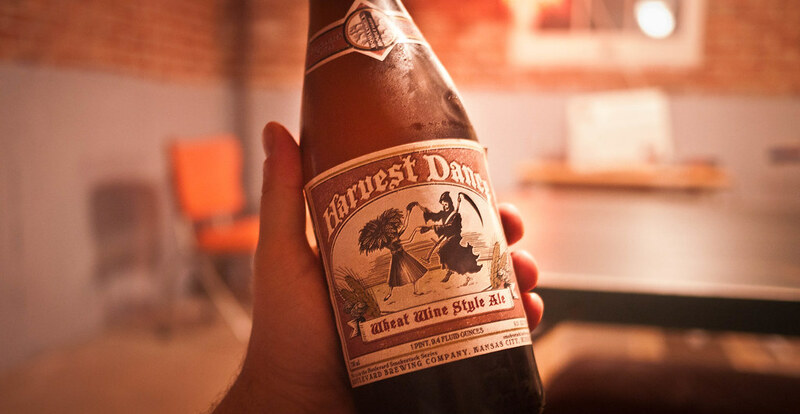 The standouts included the Harvest Dance from Boulevard Brewing Co. out of Kansas City, MO. This was an incredibly well balanced wheat whine ale. It was less sugared than a typical wheat ale, with some slight mineral notes that gave it a summery, young wine tone, but with the sharpness you love in wheats. The Jai Alai Cedar Aged IPA from Florida-based Cigar City is part of their reputable, unfailing Humidor Series. Some say this beer smells like a lumber yard, which, personally, I thought paired perfectly with the new-fence-smell of Doug’s backyard. This was a unique brew. At first the hops smack of a punchy IPA, but the cedar chips start to invade your palate after a few sips. Sort of a wooden grapefruit mixed with grass and orange notes. 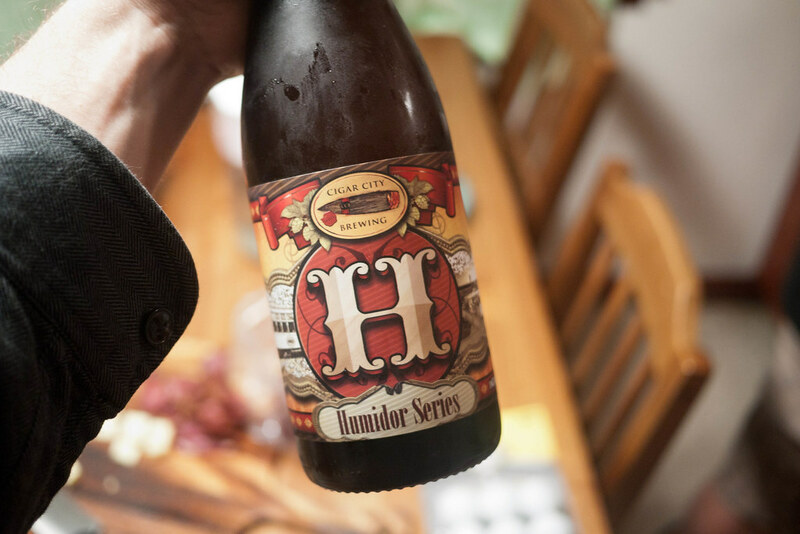 This isn’t what you’d call a lawnmower beer — it’s more of a full-on landscaper. 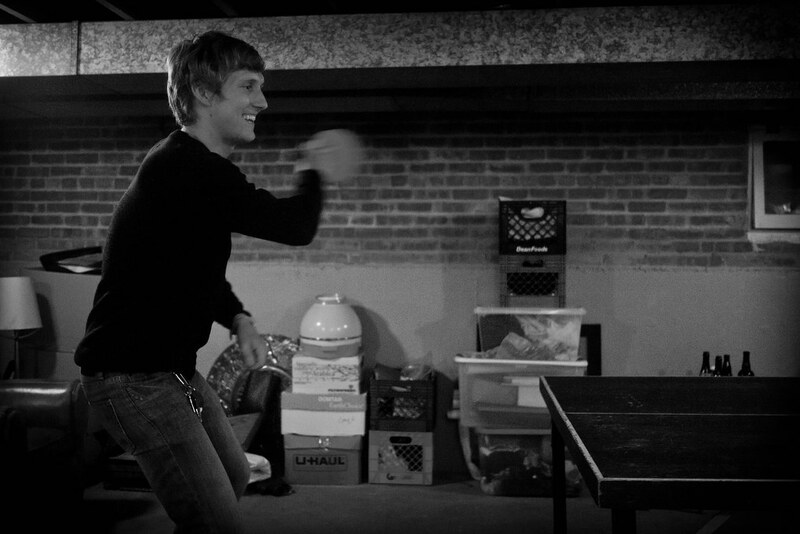 Our late visitor, Kyle Fletcher brought his own pong paddle (competitor!) 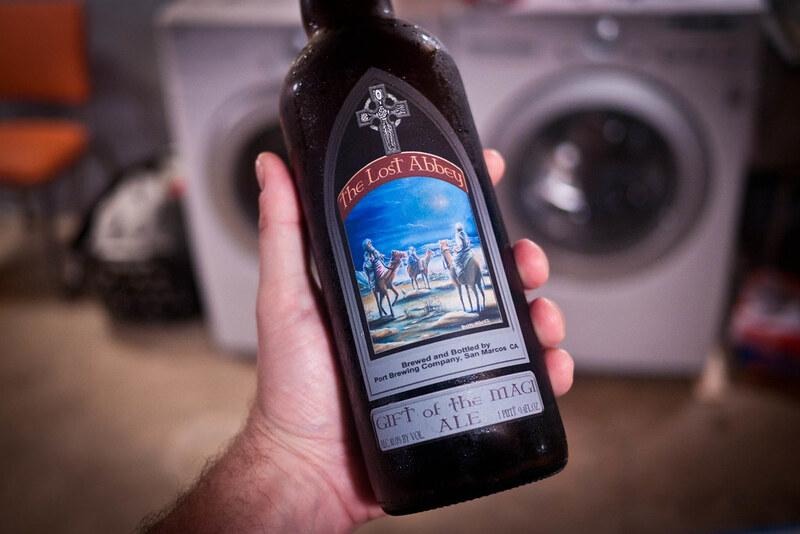 and humbly presented The Lost Abbey Gift of the Magi, a strong Biere de Garde from San Marcos, CA. This one had a lot of different flavor notes, and depending who you ask, the profile sounds different every time. Right away, I got a nice copper flavor with some funk thanks to the Brettanomyces (not too much). But others couldn’t get past the initial soup of flavors from what looked and smelled like a straight-forward golden ale. As it opened up, the hops started to grab the nose with a wild yeast quality. While it wasn’t heavily carbonated, it was still pleasantly effervescent and sharp with a bit of fruit and spice. And finally, one of the most polarizing beers of the night was the Sprecher Shakparo I brought down from my last brewery tour. I knew a gluten-free brew was risky and I didn’t want to experience it alone. I wanted takers. A fire-brewed African style beer made from Sorgham and millet, Shakparo is unlike any gluten-free beer I’ve had. 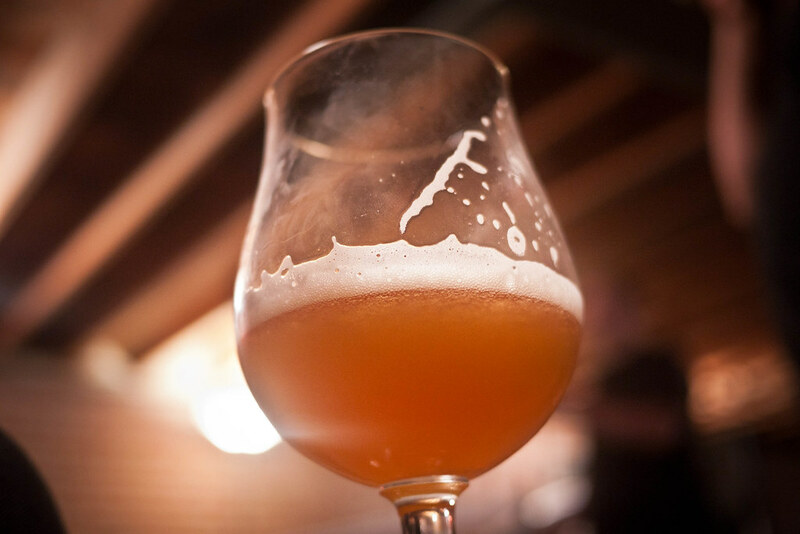 It had great texture and color, and it’s unfiltered quality and sweetness from the millet felt very similar to a Belgian Tripel. In fact, the Sorghum flavor, usually overpowering in gluten-frees, wasn’t that strong at all. 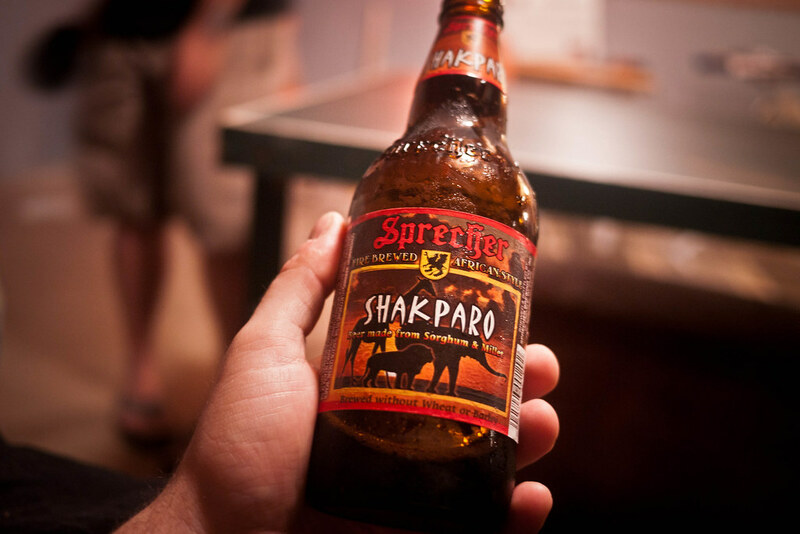 Shakparo is an African style that typically uses wild yeast, but Sprecher stuck to what they know and used a Belgian strain instead. And the resulting contrast between the sweetness of the millet and the dryness of the Sorghum and fruit give it a nice herbal flavor that stands up well. Previously, the only gluten-free brew I’ve enjoyed was Lakefront’s New Grist Sorghum beer. But Sprecher’s Shakparo is a good leap forward from New Grist, and the rest of the small, but growing pack.